Done right, training camps will provide an early season boost in fitness and motivation while being tremendously fun. Training camps can be like Disneyland for adults! Take your bike somewhere spectacular for a handful of rides, with few adult distractions, and with a lot of other people who really like to ride bikes, too. Spend several days riding, talking about and learning more about bikes. In short, you get to go on a total bike binge! Joy in training promotes performance and increased motivation for the upcoming season. Done wrong, training camps can result in over-training, sickness, injury and a flat season. No athlete wants that. This is where the Performance Manager Chart (PMC) comes in. The PMC can be used to precisely hone in pre-camp preparation, camp training volume, and post-camp recovery to ensure a fitness boost and avoid mistakes that will blow your season. Your first priority is to identify if you will benefit from a spring training camp. Camps are not optimal for every athlete. The best way to build fitness is on a steady progression with a long term Chronic Training Load (CTL) weekly ramp rate of 3 to 4 points. If you are training for sub 3-hour races, staying on this steady progression is your optimal plan. If you cannot hit this weekly ramp rate due to being time-crunched, adding a training camp is a perfect way to boost fitness and CTL. Camps are good for time-crunched, desk-jockey athletes to get away, put in a boost to CTL, then come home and recover at their desk. Athletes with physically demanding jobs will have a tougher time recovering from over-reaching at a training camp. Training camps are not a good way to re-start training after an off-season break. Ease back into training after a winter break with 4 to 6 weeks of base training before throwing a training camp at your body. Another set of athletes who will benefit from a spring training camp are athletes training for stage races, multi-day bikepacking races and solo 24-hour races. These are the types of events that push Training Stress Balance (TSB) deeply negative. A training camp will do that and is a good simulation to gain experience in adapting to and recovering from deeply negative TSB. Enter camp rested and healthy with a clear schedule. Take care of chores before camp so all you have to do in camp is ride and recover. Starting the camp tired increases the potential for injury and maladaptation and reduces positive fitness benefits. When looking at your PMC, enter the camp with a TSB of 0 to +10. This will put you in a good position physically to get the most from your training camp. Pace yourself over the course of the camp using Intensity Factor® and Training Stress Score® (IF® and TSS®). Don’t let your motivation and excitement incite you to blow it all out on day one then struggle through the rest of camp. A solid four-day camp will have daily TSS like 200, 250, 275, 320. Increase TSS each day and end with your biggest day. The majority of your pedaling time during should be in the aerobic zones or less than 90 percent of Functional Threshold Power (FTP). A training camp should be training, not racing! A few short drag races with friends are fun and ok but for the most part ride steady and aerobic. Fuel your rides well, consume a recovery drink when finished and a big meal later. Sleep at least eight hours per night and take advantage of ice baths, massage, or compression legs to speed your recovery. In the PMC, your Acute Training Load (ATL) will rise rapidly and TSB will drop. How far to let TSB drop depends on your starting CTL and the design and goals of your camp. Dropping your TSB below -70 during a training camp is reasonable and going below -90 is not recommended. If you go too deep on TSB it will take too long post-camp to bring it back up to positive. The net result would then be zero or minimal CTL gain along with a higher risk of injury and overtraining. Over-done camps result in lower CTL and fitness than accurately executed camps. More is not always better and the PMC helps you dial in the exact dose that will be optimal for you. Training camps are planned over-reaching plus planned deep recovery. Things go haywire when an athlete comes home from training camp feeling fantastic and keeps on hammering thinking they don’t need the recovery. This usually lasts about a week before things go boom and the athlete gets sick, injured and slower. After camp, rest until TSB returns to positive. Producing too much TSS too quickly after your camp will extend the time period TSB is deeply negative. This likely will result in over-training, injury, or illness and a net loss in CTL by the time recovery is complete. The goal outcome of inserting a training camp into your spring base training is to increase CTL. In PMC terms, this is ending the recovery period after camp with a positive TSB and a higher CTL than starting camp. Training camps are a fast way to build CTL by 8 to 10 TSS/day and get an early season boost in fitness. Building your fitness takes planning and preparation. 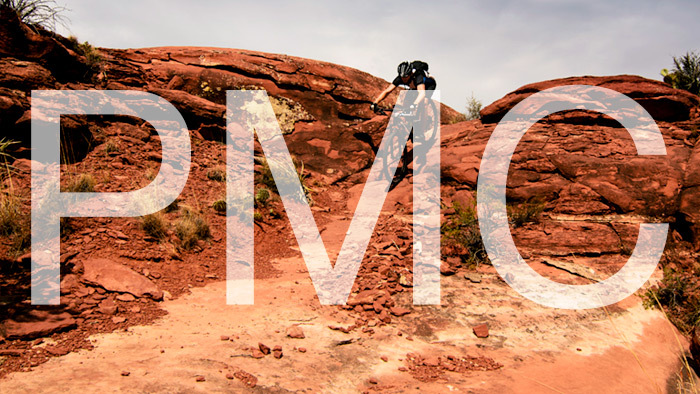 If you choose to use a camp as a fitness boost this spring, using the PMC is the most accurate way to guide your training. You can use it make sure that from start to finish, you will use your time wisely and maximize your time spent on, and off the bike.